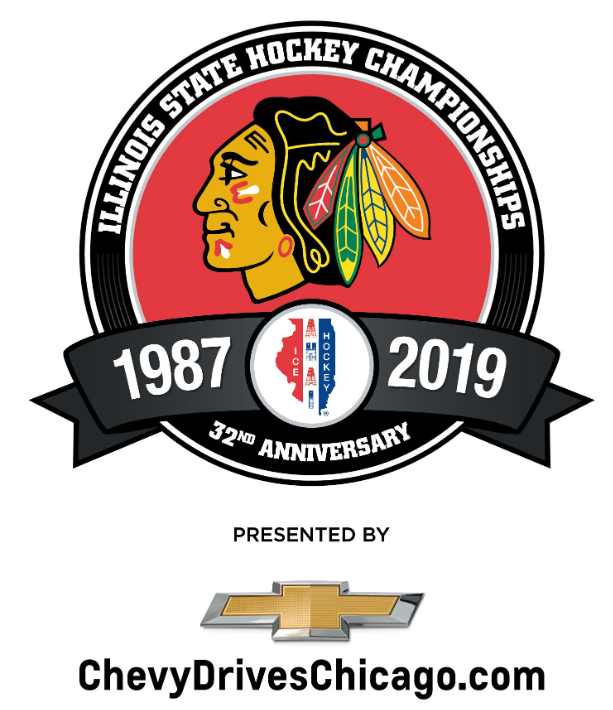 In conjunction with the Amateur Hockey Association of Illinois (AHAI), the Chicago Blackhawks will host the 2019 Illinois State High School Hockey Championships, presented by Chicagoland and Northwest Indiana Chevy Dealers, at the United Center on Friday, March 22. The event will feature a full evening of action with the Illinois Girls’ State Championship (4:30 p.m.), the Boys’ Red Division State Championship (7:30 p.m.) and the Boys’ Combined Division State Championship (9:15 p.m.). The first 10,000 fans to enter the United Center for the Illinois High School Hockey Championships will receive a Chicago Blackhawks expandable backpack. Tickets for the event, which features three contests, will go on sale on Monday, January 28, at 10 a.m. General admission tickets are available for $5 and can be purchased online at chicagoblackhawks.com, in person at the United Center Box Office or by calling Ticketmaster at (800) 745-3000. Parking for the event is free in all official United Center parking lots. For more information, including group offers, please contact the Chicago Blackhawks Ticket Office by calling (312) 455-7000. The Boys State Championship tilt, which begins at 7:30 p.m. at the United Center, will also be broadcast live on NBC Sports Chicago and will be available via live stream to authenticated subscribers at NBCSportsChicago.com/WatchLive. This marks the 32nd year that AHAI will host their State Championship at the United Center/Chicago Stadium. The 2018 title was won by Loyola Academy in the Red Division, Buffalo Grove/Hersey/Wheeling High Schools in the Combined Division and New Trier High School in the Girls’ Division. For more information, please visit blackhawks.com/highschoolhockey.